For 50 years, Snoopy has been NASA’s official safety mascot. 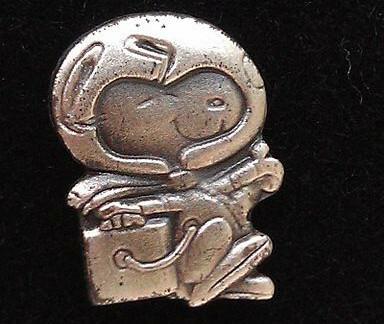 Every astronaut wears a sterling silver Snoopy pin into space and presents it personally afterward to an employee or contractor as a special commendation for outstanding achievements related to safety. Each year, fewer than 1 percent of the aerospace program workforce receive the award; it’s the highest honour recognizing the people who work to keep astronauts safe.